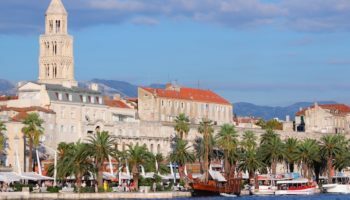 With a long stunning coastline and numerous beautiful cities dotted along its shores such as Dubrovnik and Split, not to mention the dreamy islands situated in the Adriatic Sea; Croatia is a popular tourist destination. Every year millions of visitors head to this lovely country to marvel in all that it has to offer and relax in the hot sun that bathes its mountains, valleys and lakes. 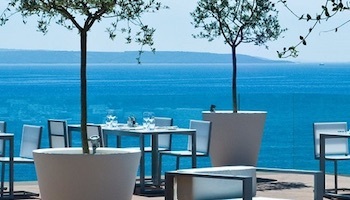 With an abundant array of memorable landscapes and unforgettable scenery, Croatia’s natural beauty is amazing to behold. 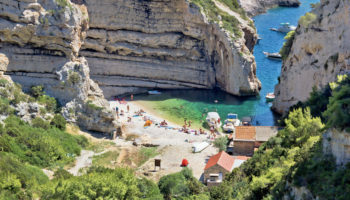 Whether it is heading inland to explore the Dinaric Alps or splashing through its turquoise waterfalls; Croatia has something for everyone to enjoy. 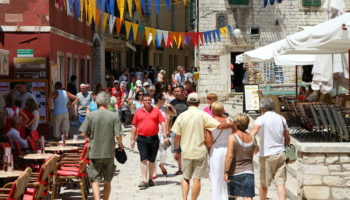 Relatively unvisited compared to its other sights on offer, the national parks in Croatia are also well worth a visit. This lovely nature park is rocky, wild and untamed and as such makes for some delightful trekking. 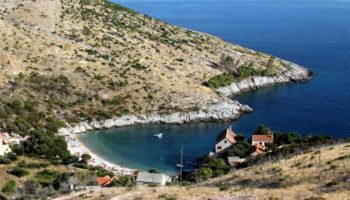 Due to its plethora of snaking paths and trails that meander their way through the rough terrain, Biokovo Nature Park is a popular park in Croatia for hikers. 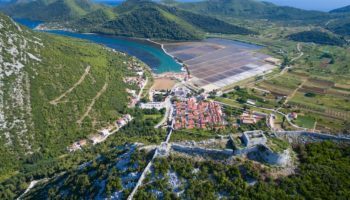 The domineering mountains of the park overlook the nearby Adriatic Sea and as the craggy peaks loom over 1500 meters in height, visitors are assured of sweeping panoramic views of the surroundings once they reach the ridge above. Interspersed and hidden away among the peaks and cliffs area are a number of cool caves for you to explore. With a rich array of fauna and flora encompassing over 1500 types of different plant species; Biokovo is a little explored treasure just waiting to be discovered. As the highest peak in this mountainous park, Vojak peers impressively over a number of scenic sights below it. 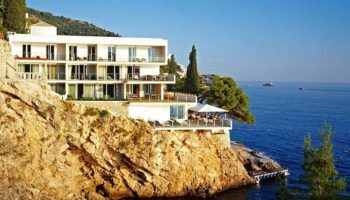 Nestled among other mountains in the range, the views from its peak are stupendous and just go to highlight the abundance of natural beauty that Croatia has to boast of. Covered in lush vegetation the coastal mountains look beautiful from the Riviera below and form a stunning backdrop to the beaches and cliffs that dominate the shoreline. Located on the Istrian Peninsula, the vast majority of Ucka Nature Park is made up of karst which explains the limestone cliffs and rock formations on display. 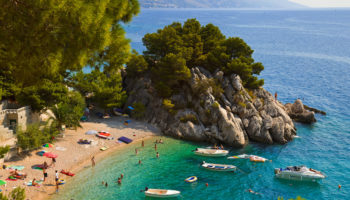 This uninhabited and consequently untouched and wild archipelago of islands makes for some of the best sailing in the whole of Croatia. With over a 140 islands both large and small, exploring the secluded beaches and inlets is fascinating and seems to take you back in time to the voyages of discovery. The pristine marine environment with its reefs and corals is the perfect place to snorkel and explore the underwater sights. Remains of human settlements and habitation can be found on some of the islands with some traces dating all the way back to the Neolithic Age! Roman mosaics can also be found and testify to the long-lasting appeal of these fantastic islands. Take to the waters and have a whale of a time weaving in and out of the Kornati Islands. These sweeping mountains with lush and verdant forest splayed in between the sloping valleys are a sight to behold. The Velebit Mountains are the largest range in the whole country and as such they have some amazing scenery and landscapes just waiting to be discovered. With some delightful mountaineering on offer as well as a myriad of tiny trails to follow, Sjeverni Velebit National Park makes for a lovely visit. Scattered around the park are the ruins and remains of old houses and lodges that have long succumbed to the harsh winds of time. Dilapidated and decaying, these old remnants only add to the picturesque scenery of the park; wild and untameable the settlements allude to the treacherous environment around them. Craggy peaks, crevices, caves and chasms abound in the rocky parts of the park and make for some spectacular sights out in the wild. With two huge canyons cutting their way through the park, coastal channels and an abundance of flora on display; there are a number of lovely ecosystems to explore in Paklenica National Park. The sweeping cliffs that line the canyons plunge dramatically to the ground with only their lower regions being anywhere near welcoming to trees and scrubs that might grow in the harsh confines of their shadows. Snaking between the ravines and gorges, small rivers and streams run down the rocks amidst the arid rocky terrain. The top of the mountain ridge in Paklenica National Park offers stunning views over the wild and wonderful landscapes that surround it. With over a thousand plant species in the area it is a valuable biodiversity hotspot that is also home to a number of endangered and rare birds that nest among the rocks. With some of the best climbing in Southeast Europe and routes of varying difficulty levels, mountaineers are heavily recommended to visit this gorgeous park. Home to a range of mountains and wild forests, Risnjak National Park is seldom visited by tourists despite the array of natural wonders it has on offer. This means that you will have much of the park to yourself to explore, delight and revel in all the lovely and peaceful sights around you. The mountain after which the park is named is part of the Dinaric Alps and the ridge that slowly descends from its peak is delightful to walk along. Narrow in parts, the mountain slopes and cuts away to either side of you, leaving stunning panoramic views of the rest of the park. Beautiful green woods cover the lower lying mountainsides before they slowly fade into forested valleys and verdant meadows. The greyish white rock formations stand out dramatically against the green of the trees and the bright blue sky above helps to add to the stunning scenery. Brown bears, deer, wolves and wild boar call the park their home and if you are lucky you will see some of them clambering up the mountainside or darting furtively away into the woods. Located right down south in the country, the park is named after the island that it is partially situated on. With coastal waters and a number of different islands confined within its boundaries, Mljet is a hidden gem of a national park. Lush forests coat the hillsides that slope down towards the perfect blue waters with only narrow strips of blindingly white sandy beaches or grey rocky outcrops separating the two. Picture-perfect, the national park is stunning to behold and Greco-Romans made reference to it all the way back in the 6th Century BC! An arresting and astounding sight, the natural wonders on show have changed little over the millennia. With the Greeks, Austrians and Venetians all having owned the islands at one time or another, it is fair to say that Brijuni Islands National Park has been party to a long and varied history. Due to mankind’s long involvement with the islands there are a number of fascinating archaeological and historical sites to visit such as the Bronze Age hill-fort dating back to the 14th Century BC! Roman ruins, a Knights Templar church and dinosaur footprints are also on display around the islands. Stunningly beautiful, the park is actually mainly known for its lovely scenery. With marvelous coastlines and charming landscapes, the national park is a delight to visit and there are a wealth of diverse fauna and flora for you to explore. 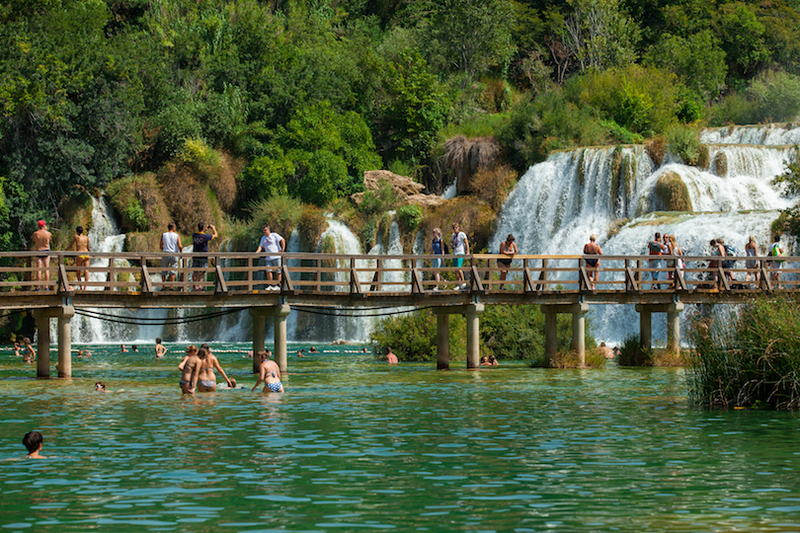 Encompassing the Krka River that gives the park its name, the riverbanks and waterfalls are amazing to behold such is their beauty. This biodiversity hotspot is home to over 850 different types of plant that grow and flourish in this wet and wild landscape. The undoubted highlight of the park however is Skradinski Buk. This expansive pool of water is simply stunning and with beautiful waterfalls at one end and gently flowing cascades at the other; it makes for an awe-inspiring sight. 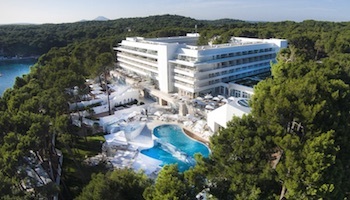 Sensuously framed by the abundance of wild flowers and plants, the pool is marvelous to behold. Another delightful place to visit is Visovac Island which, reminiscent of the renowned Lake Bled in Slovenia, has a beautiful monastery located on the tiny island in the middle of the lake. Along with Dubrovnik, it is possibly Plitvice Lakes National Park that conjures up the perfect postcard image of Croatia. The sprawling turquoise, blue and grey lakes with their arrestingly beautiful cascades and waterfalls make this a must-see park in Croatia. Increasingly popular due to its recent renown, Plitvice now welcomes over a million tourists every single year; justifiably so such is its beauty. With lovely wooden walkways meandering their way through the pristine pools, the charm of the national park is undeniable and it really does need to be seen to be believed. Unforgettable, Plitvice Lakes National Park is an essential part of any visit to this wonderfully beautiful country.